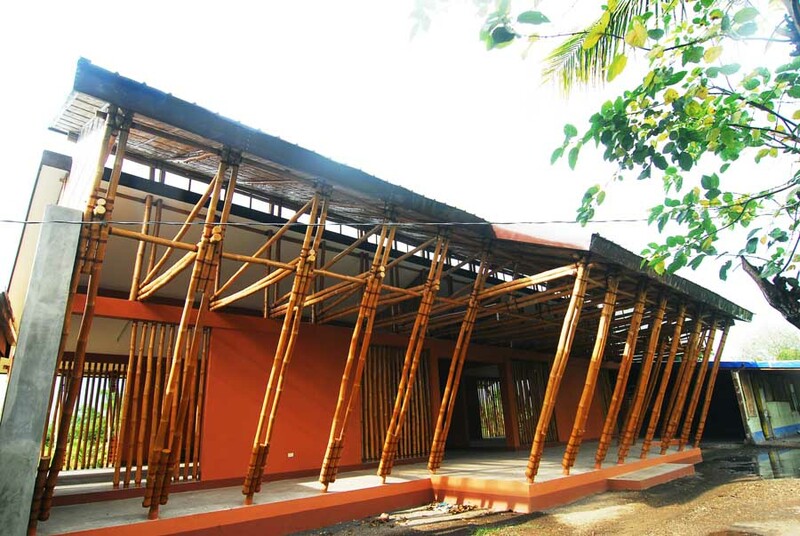 A collaborative community effort to design and build a study center, office and orphanage after super typhoon Haiyan. 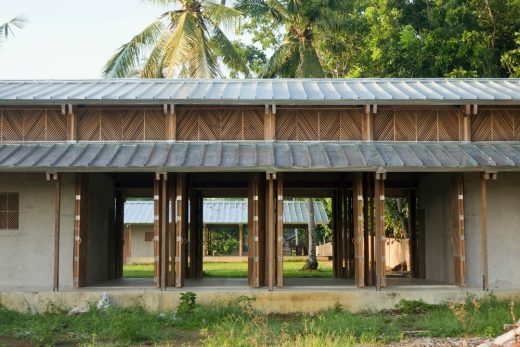 With the increase of natural and man-made disasters around the globe, it becomes increasingly important to understand how architects, and architecture, can contribute to post-disaster reconstruction efforts. 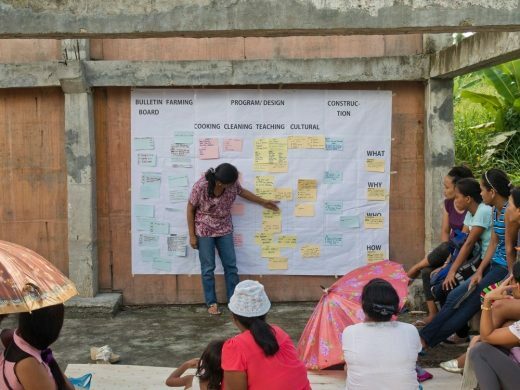 While there is an argument that architects are the least people needed in this scenario, a collaborative process of planning, designing and building can enable those affected by the disaster to have a say in the processes that eventually affect them. 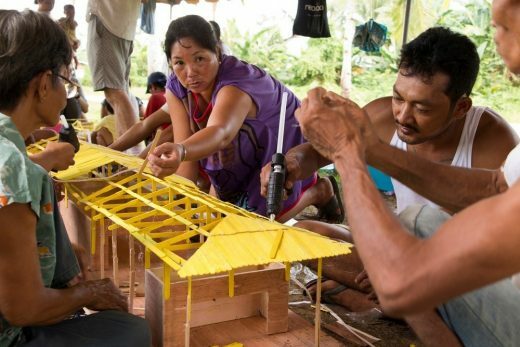 Streetlight Tagpuro is a collaborative design and build process that began 3 years before the strongest typhoon to ever hit land devastated Tacloban city in the Philippines, and the 3 years of reconstruction that followed. 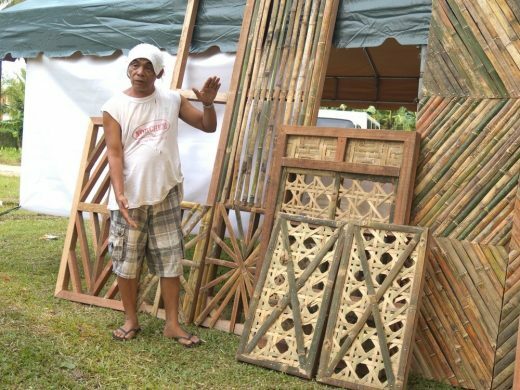 In November 2013, super-typhoon Haiyan devastated the city of Tacloban, Leyte in the southern region of the Philippines. It was one of the strongest typhoons ever recorded. 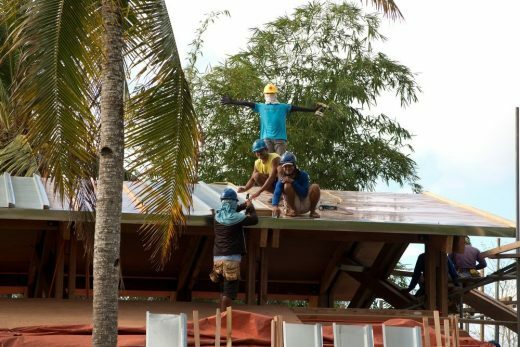 A locally based NGO called Streetlight, which supports street children and neighbouring communities by providing social services, had their orphanage and rehabilitation center at the seafront destroyed by the typhoon. 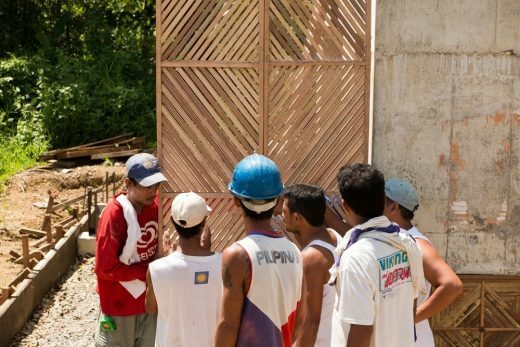 In the aftermath of Haiyan, Streetlight decided to rebuild their facilities inland, 16 km north of their previous site to provide much needed safety for the children and the community. 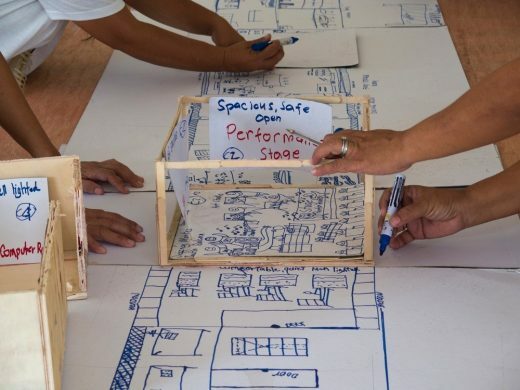 The architects, together with the community developed the design through a series of participatory workshops that used drawing, poetry, model making, mapping, and physical prototyping. This method was critical in forming a strong sense of ownership of the project and empowering the community to find their own voice. 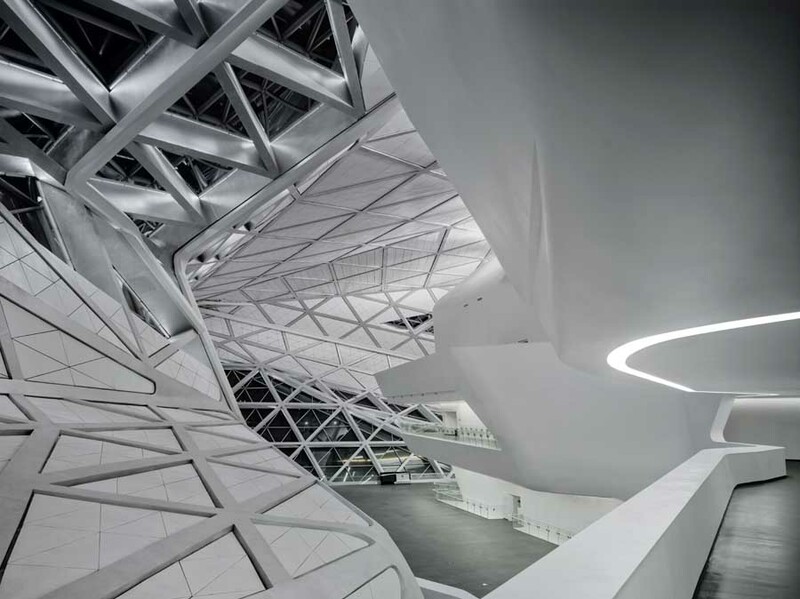 Through the design process, the spatial concepts of “open and light” and “closed and safe” found resonance with the community. 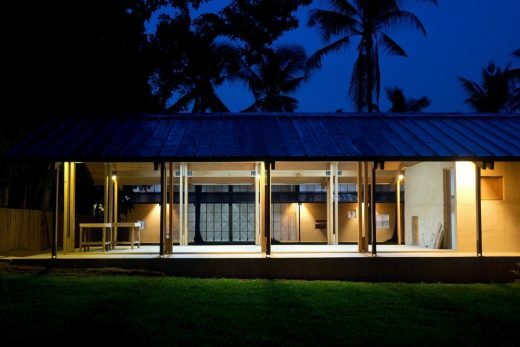 These concepts helped them articulate a desire for openness and connection to nature while providing safety and security during a typhoon. 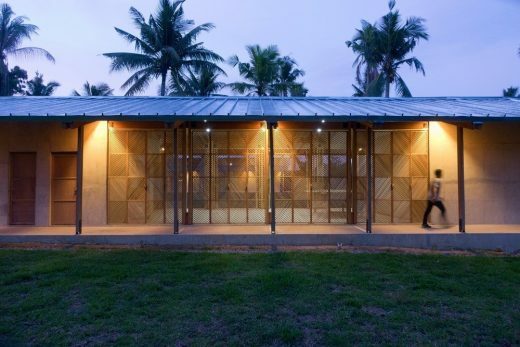 In some way, the design process helped them deal with and respond to the psychological trauma of Haiyan. 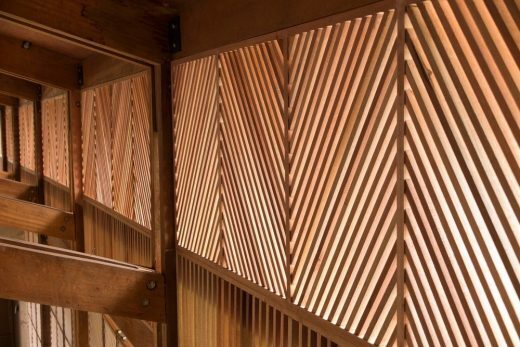 The translation of the dual concepts of “open vs. closed” and “light vs. heavy” relates to the use of ventilated light timber frames set against heavy reinforced concrete volumes. 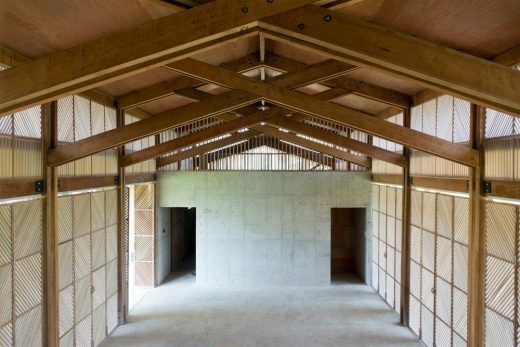 The timber frames allow air to flow through the spaces while the concrete volumes provide refuge during typhoons. 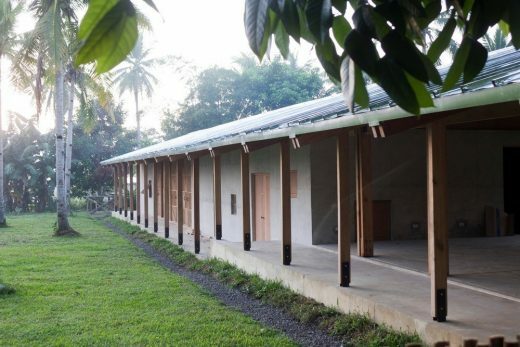 Timber slatted doors and windows were designed and built by the fathers of the children in the program. 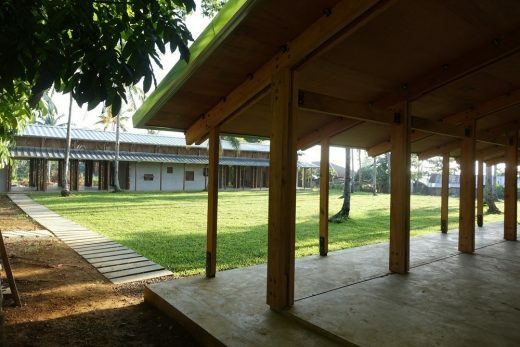 By helping them design their space, the project becomes a contextual expression of a local identity that the community can find their own meaning in. 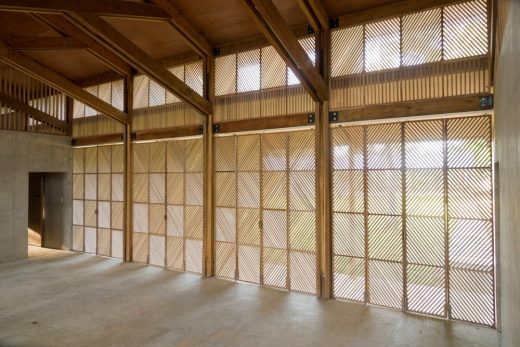 The architecture explores the values of honest materiality, craftsmanship, expressive tectonics, and vernacular sensitivity. 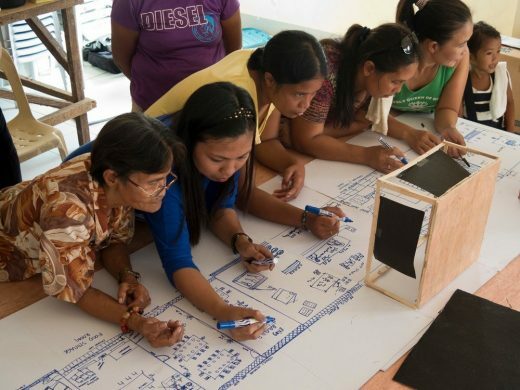 Through the deliberate selection of materials and construction methods based on their potential for adaptation by local workers, the construction process serves as a mode of capacity building and livelihood training. 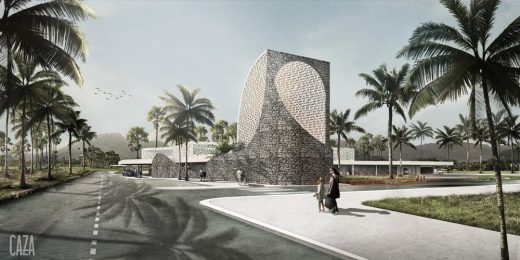 Finally, through a participatory and community-based design process that affords a framework for local expression, the project becomes opportunity not only to build architecture, but also to build a representation of shared values and shared meanings. “Streetlight Tagpuro” won the Civic and Community Category and the Small Project of The Year Award at the World Architecture Festival 2017. Alexander Eriksson Furunes studied at the AA School of Architecture, UK, before receiving his masters in architecture at NTNU, Norway. 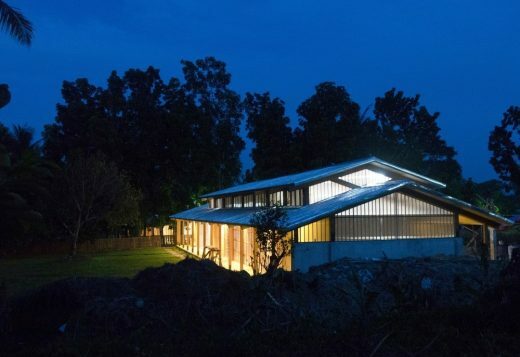 With his studio, Eriksson Furunes architecture, he has initiated and completed a series of collaborative projects with communities in UK, India, Philippines, Brazil, Vietnam and China. He is currently doing an Artistic PhD on participative planning, design and build processes at the Norwegian Artistic Research Programme (NTNU, 2016-19). 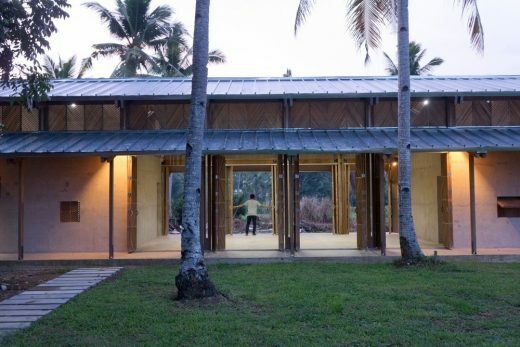 His work is a critical reflection of previous projects as well as an exploration of collaborative placemaking through new projects in both Asia and Europe. 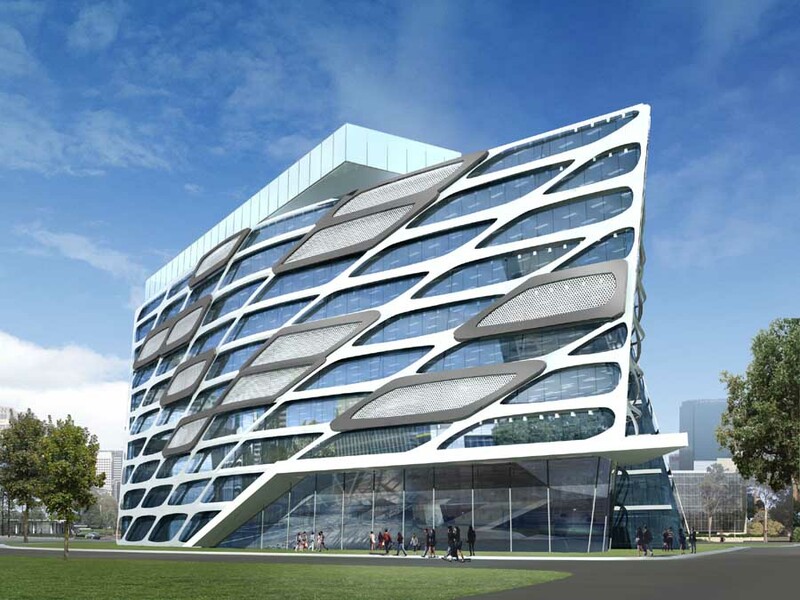 Sudarshan V. Khadka Jr. is the principal of i.incite, architects. Formerly, he was an associate at Leandro V. Locsin Partners (LVLP) where he was in-charge-of multiple projects. 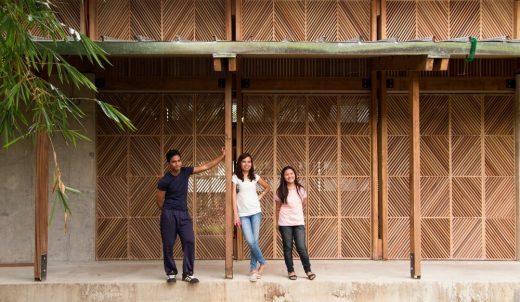 He is a member of the curatorial team of the Philippine Pavilion, “Muhon: Traces of an Adolescent City” at the 2016 Venice Architecture Biennale. 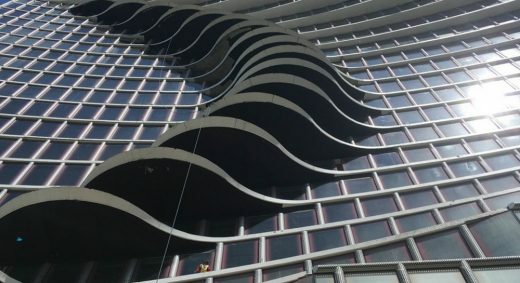 He is driven by the critical search for a modern vernacular and the exploration of the tectonic potential of construction. 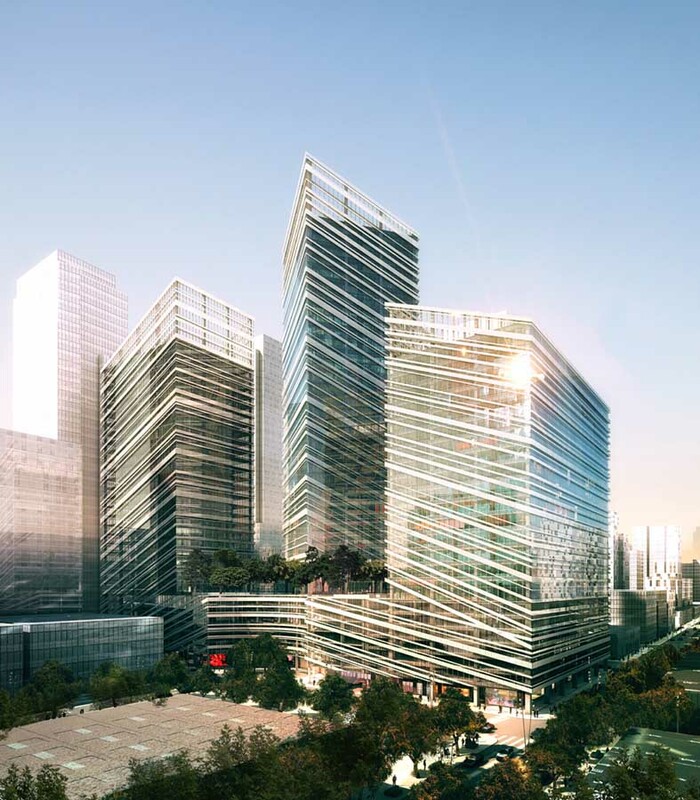 This Brooklyn-based architecture and design firm with offices in Bogotá, Colombia; Lima, Peru; and Manila, Philippines, is pleased to announce the opening of the City Center Tower located in downtown metro Manila.